I can't even begin to tell you how pleasantly surprised we were with this hidden gem. While I do remember coming across this often in my teens in the 80's, I never actually watched it. But my brother did......a lot too. He loved it. Still, that wasn't enough to encourage me to actually do it. I don't know why. Maybe it was because I never actually watched the original until just last year? Yet now I realize the sequel has nothing to do with the first one. Go figure. After Mary Lou Maloney is accidentally killed during an incident at prom in 1957, her soul is unleashed exactly 30 years later to wreck havoc and vengeance in the same school. Prom Night II bares no similarities or even storyline to the Jamie Lee Curtis classic (I didn't like it). Just in name. I'm guessing because it does in fact involve a prom night in a high school, and also to ride the coattails of a well-known classic. But imagine my surprise to discover that this little film, having never gotten a theatrical release, with no big names attached other than Michael Ironside (legend!! ), or even anyone recognizable in the directors chair or in the screenwriting credits, would end up being one of the most enjoyable 80's horror films we've seen in a very long time. To put it into perspective, Prom Night II is like a perfectly balanced combination of A Nightmare on Elm St. Part 4: The Dream Master and Carrie, which is surprising in that ANoES4 didn't come out until the following year, so you can't say that it stole any ideas from that one, which makes it all the more special. Interestingly enough, the film as it appears is not the film that was written exactly. Re-writes and re-shoots were done when the distributor didn't feel like the film worked. 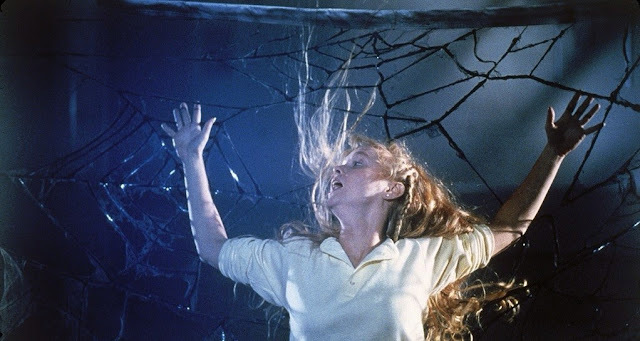 Also of interest is that it wasn't even written as a Prom Night sequel at all, but rather another haunted high school film until the distrubutors purchased it and decided to rename it Prom Night II. Still, despite it's name not having anything to do with the previous film, it's one helluva great ride in the "high school horror" genre, led by a pretty solid cast, with the only notable name being the legendary Michael Ironside, who does a fantastic job. It's also a bit trippy as hell, with some really creative surreal moments that tap into the whole "what's real and what's not" a la The Dream Master. And for a film who's director (Bruce Pittman) had never done anything to prove he could handle so many of the films offbeat surreal moments, much less a horror film in general, it's quite an accomplishment. 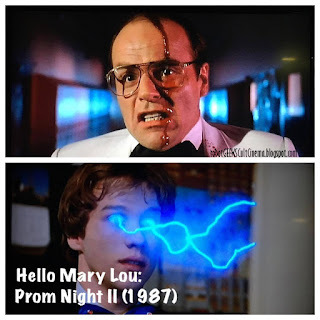 I just discovered that some of that can be attributed to the films writer, Ron Oliver (he would go on to write and direct Prom Night III), who was tasked (after the fact) to go back and shoot some extensive sequences to give the film more of a punch, and really, it's these moments that really give the film more of it's surreal quality and tone. Whoever deserves the credit (I say both), they delivered something that nearly 90% of these films fail to accomplish: a cheesy, gory, fun and spirited 80's slasher with enough tongue-in-cheek humor to qualify as a near horror/comedy rather than just straight-up horror. While the film boasts an impressively solid cast, it's really the films star, Wendy Lyon, who does not play Mary Lou (Lisa Schrage), but rather a timid, fragile nerdy girl with an overbearing devoutly religious and demanding mother. She was such a breath of fresh air. You'd never imagine where her character would eventually go later in the film and I must admit, it was a bit shocking, in a very enjoyable way. You'll see what I mean a good halfway through. It's fantastic. You'd think at my age, 41, having been watching horror films all my life that I'd pretty much seen most of them and that the genre for me had already been tapped out. But nope! This film is a great example that there are still some great ones left out there that I still haven't seen. Little underrated gems that flew under my radar, or for one reason or another never got the love, respect or acknowledgment they deserved. This is one of those films, and I implore you to seek it out. It's worth the effort if you love cheesy 80's horror. Sometimes clever, oftentimes inventive, and purely entertaining 100% of the time, Prom Night II is pure 80's horror bliss. Currently the film is available in it's entirety on YouTube for free and in widescreen. 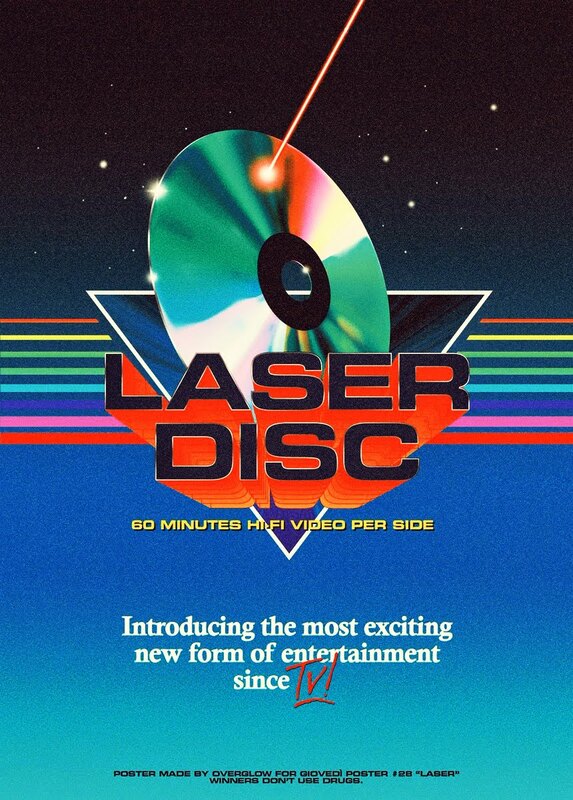 The DVD is fairly cheap, also in widescreen, and a pretty good transfer. That was my source for this viewing. The VHS is also fairly cheap and common. No plans for a blu ray release anytime soon I'm afraid, at least not in the U.S.